An automatic system for independent parking, based on stacking cars and shifting pallets to either side of the lift with skips. 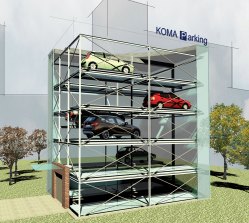 It is a parking design with a huge capacity, featuring multiple lifts, clearing slots and skips. The designs are optional available above ground, in ground and combined. Suitable for subscriber parking and park timing. Making the best of the park space. 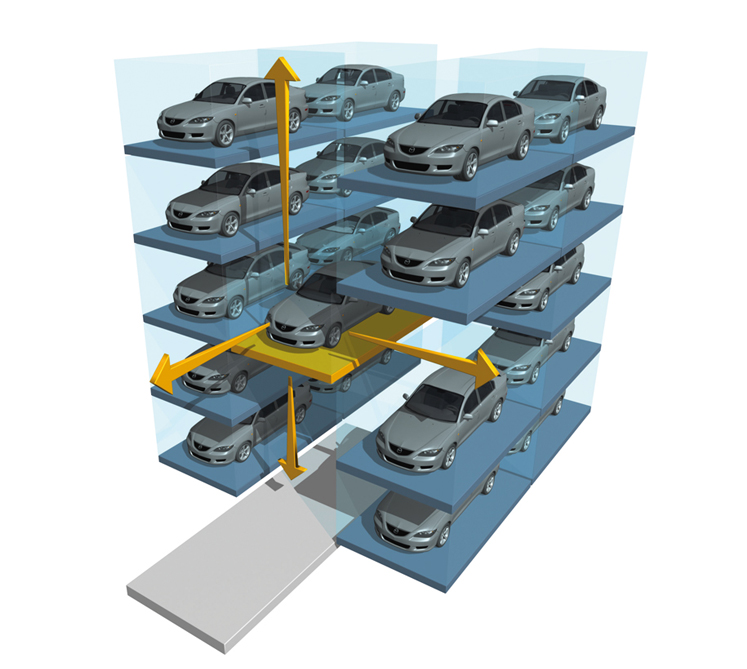 The parking installation makes advantage of sync-hronized actions, reducing the technology specific clearing times. 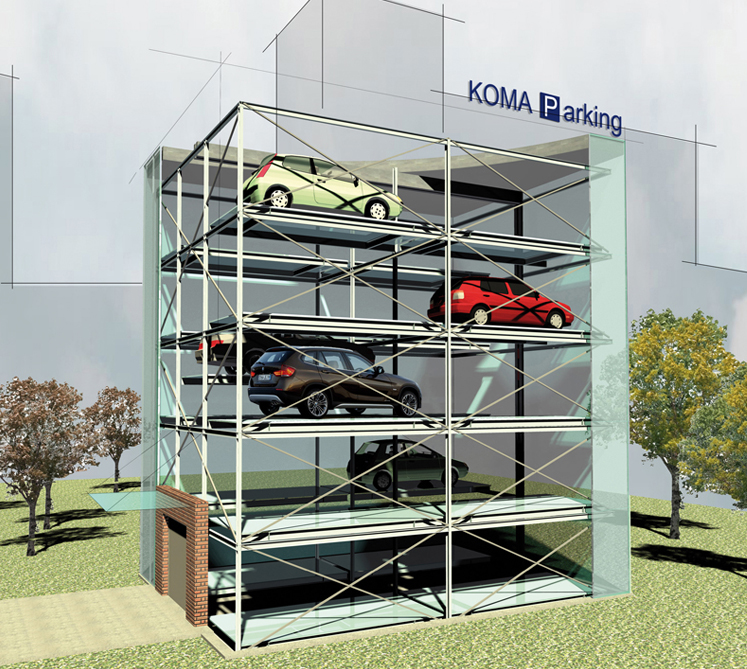 An automatic system for independent parking, based on stacking cars and shifting pallets to either side of the lift. Suitable for high volume parking. The overall layout and design are based on the site features, the number of cars parked per hour, and the traffic access.